Hearty classic flavours of a lasagna dish fill this soup to create a delicious comfort food recipe. Remove sausage meat from casings and crumble into large deep pot. Place pot over medium-high heat and cook breaking up meat with a spoon for about 5 min or until no longer pink. 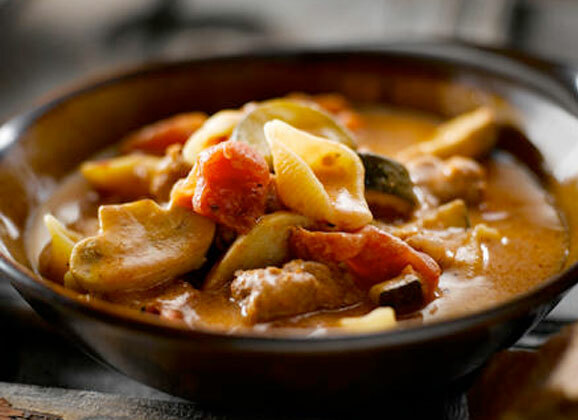 With a slotted spoon, transfer meat into a bowl; discarding any fat left in the pot. Return pot to medium-high heat and add butter, mushrooms, zucchini and Italian seasoning. Cook, stirring for about 8 min or until no liquid remains from mushroom mixture. Return meat with any accumulated juices to pot and add tomatoes. Whisk flour into cream and add to pot along with the water and pasta. Increase heat to high and bring to a boil. Reduce heat and simmer, stirring occasionally for about 10 min or until pasta is tender but firm. Season to taste with salt (if using). 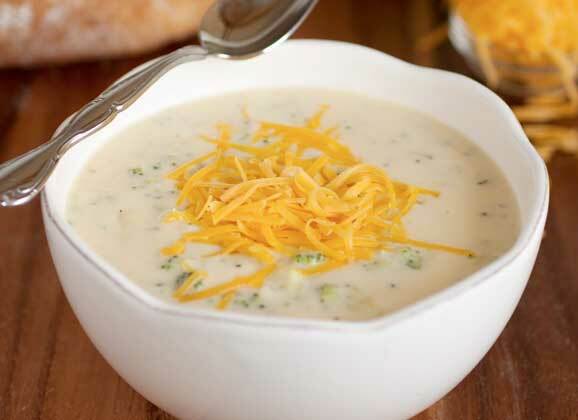 Divide cheese among soup bowls and ladle soup over top to melt cheese. Tip - Stirring the soup occasionally while cooking helps create a creamy texture to the soup. To add a smokey flavour, look for smoked Mozzarella or Provolone cheese.